Searching for a method of Lotus Notes to Exchange migration? Don’t worry, we have got you covered. We are here going to discuss in detail the process of Lotus Notes to Exchange migration. Keep on reading for an easy way out to Lotus Notes migration. People frequently need to carry the Lotus Notes to Exchange migration task due to reasons like change in job, cost factor, etc. Here you will find the most authentic information about this exchange process and how to do it successfully. Below we explain the steps undertaken usually in the manual method of Lotus Notes to Exchange migration. First of all, download the Transport Suite. If you are using 32-bit system then one must download transporter32.msi. Otherwise, one can navigate to the transporter.msi folder. The next step involves installation of the suite. Then running the .msi file opens up a welcome screen. One has to then accept terms and conditions in the agreement window then continue. The next screen slide asks you to choose component and install location. You are now supposed to choose for Microsoft transporter tools and deselect an alternative of free busy Add-in task for Lotus Notes. Then, Browse the destination location where you want to install the transporter suite. A folder named Microsoft Transporter Suite for Notes will appear after the completion of the process. Further, in the process, the next step is the generation of directory connector. There are two alternative ways to do that. From the console tree, select the option of connect under tools for Lotus Notes. Choose the option to create directory connector after clicking on it. Next, a create directory connector will open up on the screen. Click Next to migrate Lotus Notes to Exchange. Hit create and finish after this process finishes. First, select the newly made directory connector to export NSF to Exchange 2013. Then right-click on it and choose the option of properties or navigate to Action menu and select option of Properties from there. Four tabs will appear in the properties window. General tab, advance tab, sync to active directory tab, and sync to notes tab. Select synchronize option while setting up the directory. Right click on Directory Connector after choosing it. Navigate to action panel, context menu, choose synchronize option. A synchronize window emerges on the screen. The user has to select the option of update synchronization or full synchronization. The update synchronization is useful when one has to execute the synchronization for updated or modified options. Follow the required type of synchronization, select synchronize option. Click on Finish once the synchronization process is over. Bulk migration is not a convenience way since you may get an error such as “Maximum request length exceeded”. Encrypted Mailboxes/NSF files will not get processed since this method doesn’t support such mailboxes migration. Missed out email attachments while migrating data and you might lose your important files. This method simply doesn’t work for more than 1500 mailboxes so its a big fail. There is always the risk of data loss while performing the migration process. This method is very time-consuming. After reading all these steps you must be wondering if there is a simpler way for Lotus Notes to Exchange migration. There surely is a way that you will be able to easily understand. We at Shoviv Software understand that no one has time to spare for lengthy procedures or to acquire the knowledge required. So we present a tool which can not only carry Lotus Notes to Exchange migration but also provide a guarantee of ease of use, comfort and safety. Carries Lotus Notes to Exchange migration every time without affecting data configuration. Provides option of choosing several source files during LotusNotes to Exchange migration. Powerful filter option for selective Lotus Notes to Exchange migration. One gets to filter only the files required for the process, leaving the unnecessary ones behind. Provides preview option. Using this feature, one can take a bird’s eye view over the data before plunging into the final step of LotusNotes to Exchange migration. Supports migration of Lotus Notes mailbox to Public Folder and Archive mailbox. Consultation service for Lotus Notes to Exchange migration free of cost. This Lotus Notes to Exchange Migration tool makes the migration process not only easy but also swift. It speeds up the process by providing option of choosing multiple NSF files. This is one of those features which take the burden off from your shoulders. Keeping all kinds of clients in mind, this tool has prepared its GUI to suit everyone’s need. Thus, one need not be an expert to operate this Lotus Notes to Exchange migration tool. The migration process has never been easier. Other than Lotus Notes to Exchange migration, this tool can also save the converted data to EML and MSG format. Thus, accessing the mailbox items is easier from the MS Outlook and other mail clients. The email translation feature is especially useful when migrating NSF file and Lotus Domino server to Office 365 and Live Exchange. It lets the user change email addresses according to destination server’s email addresses. The feature of multiple file export is available with this Lotus Notes to Exchange migration tool to migrate many NSF files. It lets the user select several or single NSF files, whatever the situation demands. Using this feature, one can add more than one domino server mailboxes and export Domino mailboxes calendar items into Outlook PST calendar. This Lotus Notes to Exchange migration tool lets its users access the scanned data before the final step. One can thus remain reassured about the contents of the files undergoing Lotus Notes to Exchange migration. It gives the user an easy time previewing data without the troubles of the manual method. Using this Lotus Notes to Exchange migration tool you can choose the convenient PST format for storage of final product. The NSF files are thus converted to several PST files without troubles. This option is quite useful since the PST format is more convenient. You can also carry folder mapping using this Lotus Notes to Exchange migration tool. This option is useful in migrating Lotus Notes mailbox folder to Outlook inbox folder. Rest assured that you would not have to deal with messed up folder sequence once you get this Lotus Notes to Exchange migration tool. The integrity of the files remains same as well with this tool’s service. This facility ensures that the user doesn’t have a hard time searching for folders. This Lotus Notes to Exchange migration software converts NSF data to Exchange server. This tool can migrate many kinds of data- enclosed attachments, tasks, calendars, contacts, journals, emails etc. Along with all these, you will also get client support whenever you need it. The experts in our support team will help you out in case of any confusion or complexity. You can undoubtedly say that this tool is not only the most convenient but also smartest way to get your Lotus Notes to Exchange migration task done. 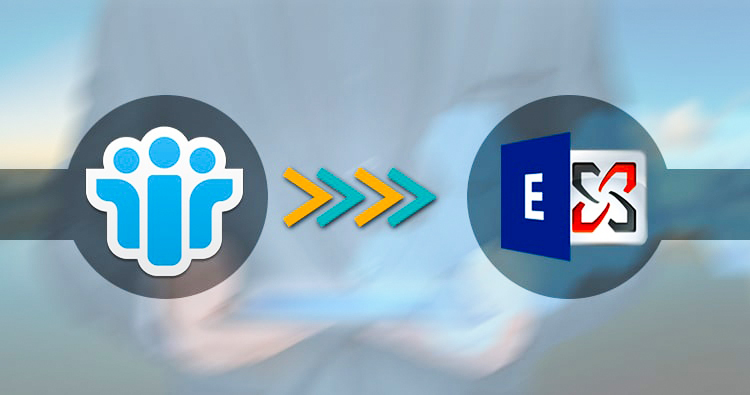 Don’t forget to check our latest arrival on “Lotus Notes to Office 365 Migration, and GroupWise to Office 365 Migration . This tool is also available for free in a demo version. Get the free trial to feel complete control over your Lotus Notes to Exchange migration task. To get the free trial, click here.